Very few people know that Subaru Australia came within a day of shutting the doors and turning the lights off in the 1980s. An economic downturn in Australia meant sluggish sales and a disastrous exchange rate, until the two men at the top of the company – MD Trevor Amery and marketing boss Nick Senior – came up with a radical plan. They decided Subaru must become a Japanese premium brand that sold – only – cars with symmetrical all-wheel drive and boxer engines. The TV ad tagline was brilliant - 'All 4 the Driver'. The plan worked and one of the keys to its success was the Impreza. 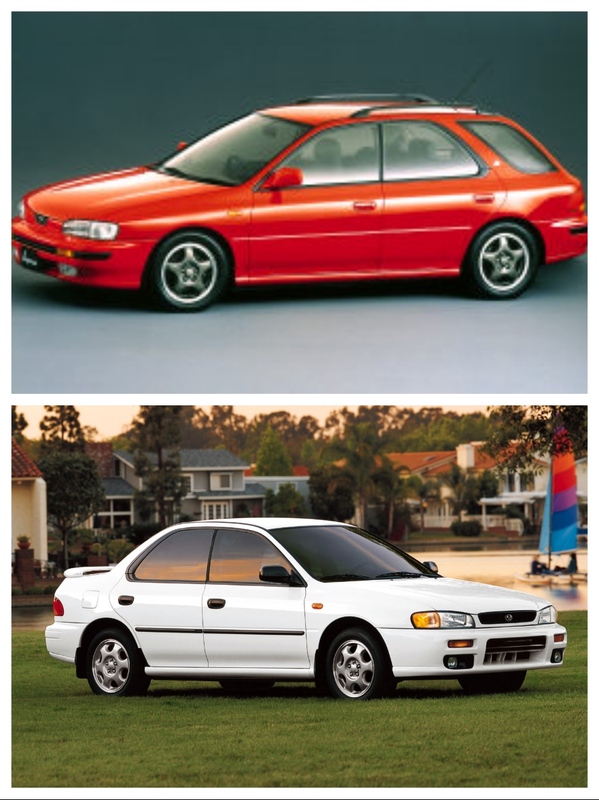 The Impreza first appeared in 1992, as the work of Tetsuya Hayashi and Hidefumi Kato. It was originally offered as a four-door sedan and a hatchback-style mini wagon. Impreza's compact size, ground-hugging handling, all-wheel-drive, and its special tuning potential seemed to be just the car to spark life into the tiny company. The Impreza has been a winner ever since, despite a considerable drop in quality when Subaru wound back its development spending during and after the Global Financial Crisis, however the latest model is one of the best. 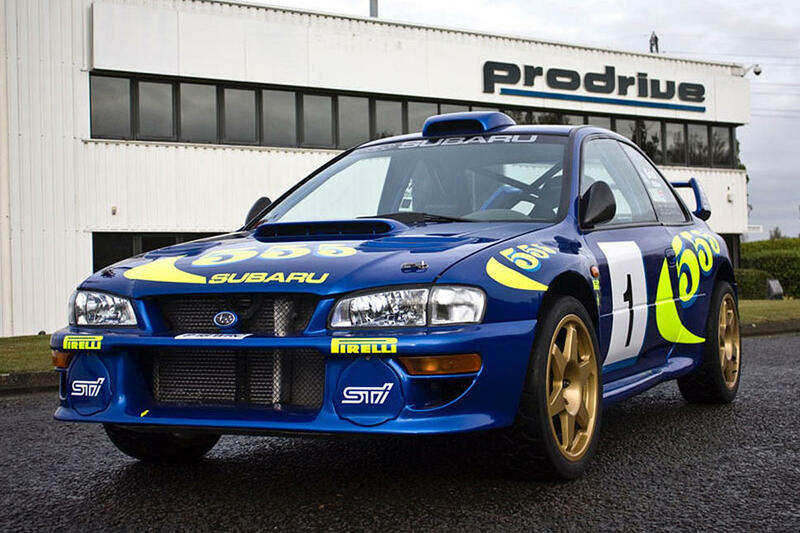 But the car that really kicked the Subaru brand into gear was the WRX – affectionately known as ‘The Rex’. The Rex could not have been better for competition use – and hotrod tuning for the road. It had a turbocharged 2-litre engine set low in the nose for a good weight distribution, the symmetrical all-wheel drive from standard, and the compact body that was well balanced, and easy to upgrade. 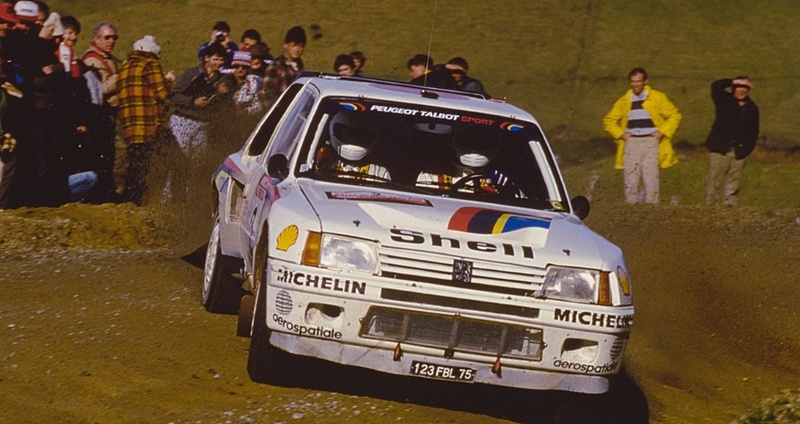 It was a winner from the start in the Group N showroom class, mostly competing against the Mitsubishi Lancer Evo, and was really boosted when the Prodrive organisation in Britain – owned by motoring mogul David Richards – won the factory rally contract and created a series of WRC models with more power, more technology and much more speed. 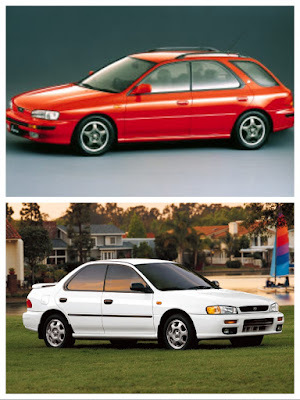 But, where a road-going Rex was priced in the $40,000 range, a WRX WRC was more like $400,000. 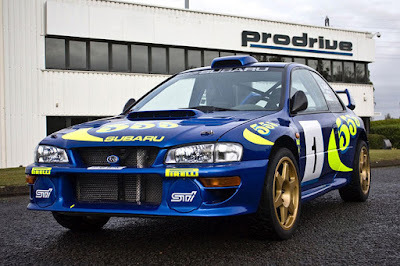 Subaru cashed in quickly with the WRX, mirroring the WRC colours – originally from 555 cigarette sponsorship – into the blue-and-gold signature editions and eventually the quick and bolder STI models with parts from its in-house tuning company STI, for Subaru Technica International. In Australia, rallying was so good for sales that star recruit, New Zealand's Possum Bourne, got a cash bonus for every delivery sparked by his Australian championship campaigns. So, what was it like, this fire-breathing giant-killer? 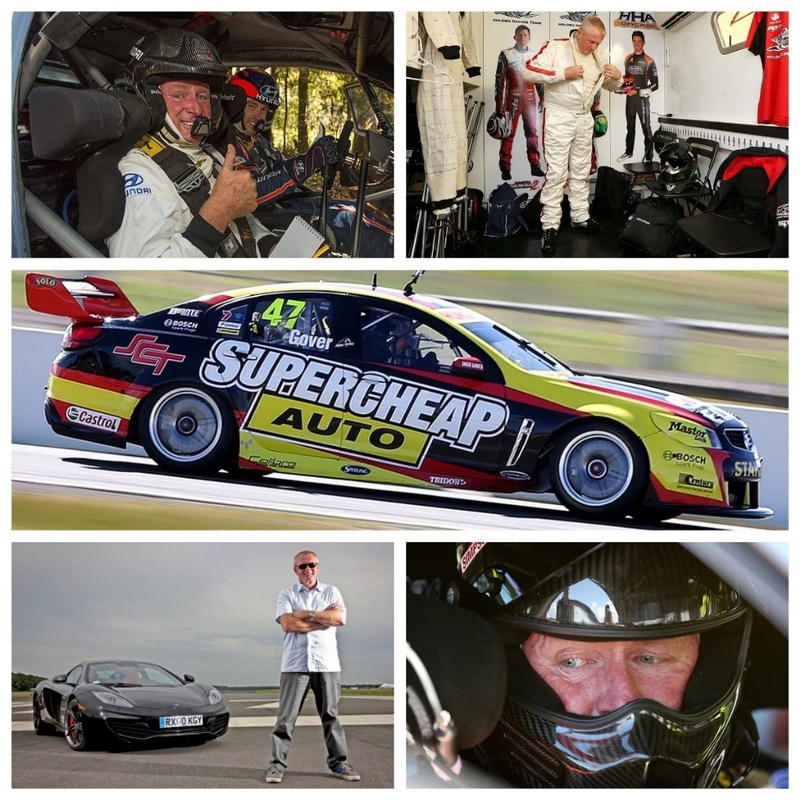 My good friend, Paul Gover, senior motoring writer at News Limited for more than 20 years, has long led a double life as an automotive writer and competitor. 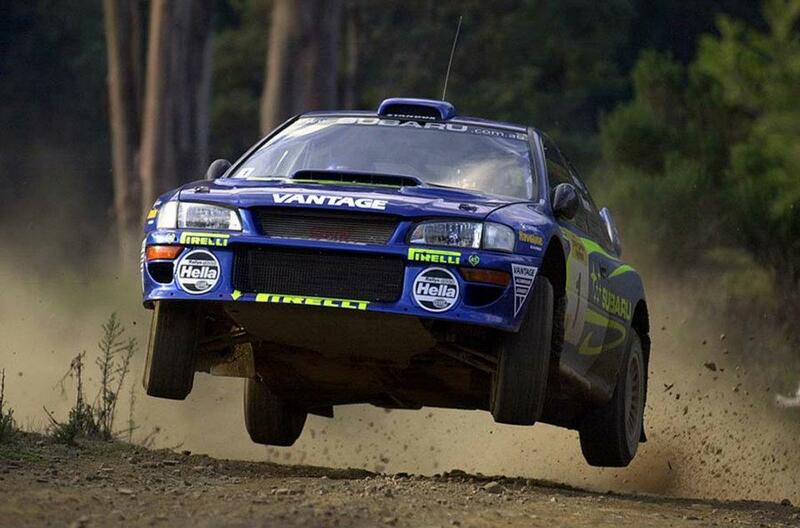 He’s driven everything from Monster Trucks, V8 Supercars and F1 cars, to, you guessed it – the rally-bred WRX. “The first time I went to a rally was in 1972, when Colin Bond was winning in a Torana XU-1, and my first world rally was in 1979 when Walter Rohrl was winning in a Fiat Abarth. "I also covered the sport through the wicked days of Group A, watching spellbound in New Zealand as Finn Ari Vatanen danced his Peugeot 205 T16 prototype through the forests with Germany's Walter Rohrl in thunderous pursuit in a 400-horsepower Audi Quattro. "I was lucky to ride alongside some of the aces in these cars, including a landmark lap around the Hockenheim race circuit alongside Stig – the real Stig – Blomqvist in another Audi Quattro. "But when I jumped in alongside Possum Bourne – his real name was Peter, but he became Possum when he crashed his mother’s car after ‘avoiding a possum’ on the drive home from work – in his WRC WRX, my rally focus changed forever. "I’ll give it the business." And he did! "I’ve never been as fast, or as committed in a rally car, as he set out to show me what he and the car could do. We flew over giant jumps, we skidded sideways under brakes and threw walls of rocks under power, and I will never forget one left-right combination through a giant dip. "Possum flung the car at the corners like he was trying to kill the WRX, refusing to acknowledge the laws of physics. He had thick glasses, and was not the smoothest driver in the world, but he made that car sing and dance. "A couple of years later he called me to talk about another drive, but this time with me behind the wheel. 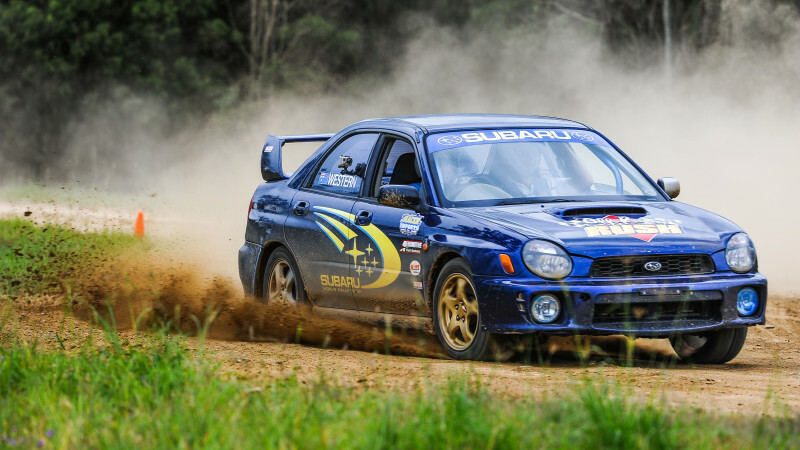 He was not prepared to risk his WRC weapon but, with Subaru Australia MD Nick Senior’s smiling support, he was offering one of the Group N showroom cars for a rally in Canberra. "That was good for me, as I’d grown up rallying in Canberra, knew the roads and the slippery gravel conditions, and had scored a few wins. So I was a factory driver for the day, with ace co-driver Glenn MacNeal to call the corners. "My introduction began with a shakedown run that showed me why the WRX was so good for rallying. It felt almost like the road car, nicely balanced and easy to handle, with plenty of torque and a slick gearbox, but with everything raised a few levels for competition. And, of course, with a giant rollcage and comfy Recaro race seats. "The highlight of the first day was taking one of my former sports editors for a passenger ride. “Hey, you can actually do this,” he said afterwards. "The rally itself began brilliantly. I was fastest on the first stage. It was a road I knew well, in Blewett's Plantation, and the WRX was doing everything I wanted. It was nimble in the twisties, had punch on the straights, and was fun to hurl through the corners. "It couldn’t last, of course, because this was a ‘blind’ rally without pacenotes and I had not tackled one of those in 10 years. And I was up against state championship crews who were match fit, and focussed on title results. "But the car flattered me and my driving, made it easy to go fast without fear, and we stayed with the pace of the lead bunch. "I have to admit, I wondered more than once what it would have been like to tackle the same event in Possum’s WRC supercar. The straights would have shrunk, the corners would have been tighter, and the challenge would have been tougher, but the buzz would have been off the scale. "As it was, the car survived without a scratch, we got a top-five finish, and had a brilliant time. "And now, as we roll into 2017, there is talk of another WRX guest drive at the end of the year, in the car that Molly Taylor – the latest in a long line of Subaru rally success stories, currently campaigns - back in those very same Canberra forests. I cannot wait." CHINA'S CAR MARKET - WHAT GIVES? SUBARU IMPREZA - NO RICE BUBBLES HERE! HOLDEN LION, SLAIN BY THE LION OF BELFORT? IS AUSTRALIA'S NATIONAL BROADBAND NETWORK A JOKE? BARGAIN BOBTAIL. AT SIX MILLION? BATHURST 12 HOUR RACE - FIND A TV! NOW!